Nature abounds with a large number of different types of coffee plants but two types of coffee mostly used for the preparation of the homonymous beverage are Arabica and Robusta. Nowadays, Robusta coffee (Coffea Canephora) is mostly exported from Vietnam, that has become the leading producer of this type of coffee in the world. You may think of Brasil as the most important coffee production center but even though this country is considered the world’s largest coffee producer, it doesn’t have the leading role when it comes to Robusta – Arabica makes 80% of the Brasilian coffee export. 1.1.1 Where is Robusta coffee Grown today? Robusta coffee was found in the 19th century and back then it was referred to as „Canephora“. 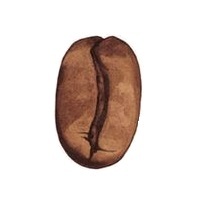 Although this name hasn’t faded away, nowadays we call it Robusta more frequently. It was first spotted in the lush mountainous forests of Ethiopia, as well as in the entire western and central area of Africa. Soon afterward, the French colonists took it to Borneo, French Polynesia, Jamaica, Costa Rica, Nicaragua, and the Lesser Antilles, where local people started to naturalize it as well. The first type of Robusta coffee was developed in Indonesia and it is known as Palemband, while some of the other known types are Kouilou and Congonisis, which grows on Madagascar. 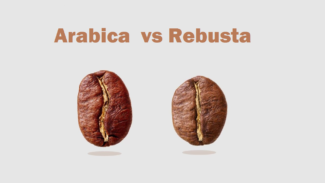 Recently, the experts have come up with the hybrid type of coffee created by the mixture of Arabica and Robusta in order to improve the quality of the tart bitter taste of Robusta and gave it a rather creative name – Arabusta! Where is Robusta coffee Grown today? 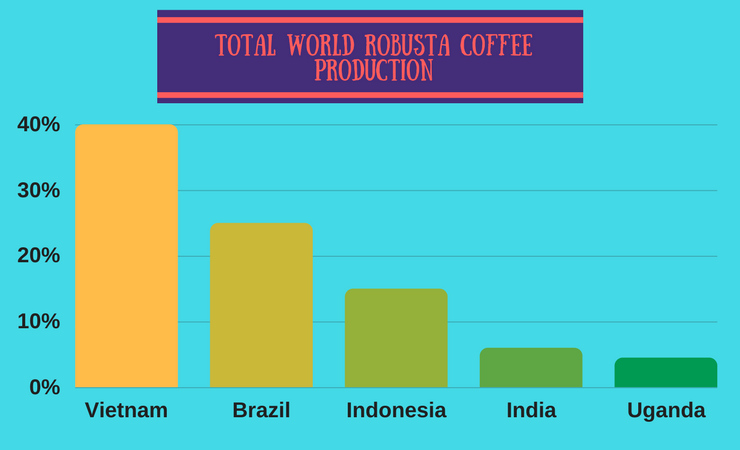 Robusta is mostly grown in Vietnam, but Robusta coffee grow also in Brazil, Indonesia, India, Uganda and in other countries, but in smaller quantities. Around 40% from all produced coffee is Robusta. Among many differences between Arabica and Robusta, such as height of growth, price, quality, taste, conditions of breeding, etc. we will pay attention to one particular and that is acidity. Very important ingredient of every coffee, both Arabica and Robusta, is chlorogenic acid (CGA). It is what contributes to the acidity of coffee that you can sometimes feel while drinking it. Because of its taste which is stronger and slightly bitter compared to Arabica, we can conclude that Robusta has more acidity in itself, to be precise 7-10% CGA, while Arabia has only 5.5-8%. Chlorogenic acid is an excellent antioxidants, but it is also something that is harmful for insects. This is the reason why the production of Robusta is cheaper. The less is spent on protecting the cultivation and therefore the selling price is lower. Besides its higher concentration of chlorogenic acid, its chemical composition is simpler, so Robusta produces flavors that are often compared with a burnt rubber. Because of the strength of its acidity, Robusta is often blended with Arabica to achieve a mild taste that suits the consumers more. Coffee quality can be easily alleviated by adding milk. Most instant coffee are Robusta and they have more acidity, so you can buy it in combination with sugar and milk. 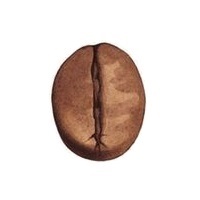 Arabica has sweet and soft taste, often mixed with fruit aromas. Its acidity is a lower compared to Robusta, but it is also more complex, so it gives a cup of coffee the exact amount of acidity that is pleasant for taster. Thanks to the complexity of the acid that the Arabica has in itself, there can be more variations in taste. Among many others, this is another reason why Arabica is considered to be more quality and expensive. In this table you have 5 best roasted and unroasted robusta coffee beans. By our honest rating, these are currently the 5 best robusta whole coffee beans that you can currently buy pretty cheaply. Where to buy Robusta coffee? I recommend Amazon as best place to find different Robusta coffee beans. Before buying you need to know that not everyone is used to drinking coffee brewed from Robusta beans. And maybe you do not like the taste of such bitter coffee. A bean of Robusta coffee, consisting of oils (13%), chlorogenic acid (up to 7%) and caffeine (not more than 3%), may be a valuable source of beneficial health effects, especially when it comes to the health of your skin. Even though a lot of coffee oils is eliminated during the roasting procedure, a certain amount of it somehow succeeds to stay available afterwards and the best about it is the fact you can probably see it every time you make yourself a coffee – it’s that tiny layer of oils which usually appears at the top of your cup what can make your skin look better. All you have to do is to combine the leftovers of the oils with the other minerals and oils in the coffee scrub and apply it onto your skin. The silky smooth sensation is guaranteed! If you have heard that coffee is an amazing antioxidant but you aren’t sure what that means, you should know that this benefit of Robusta coffee represents an effect of CG. This antioxidant provokes a laxative effect by speeding up the bowel movements. In addition, since the Robusta coffee has the double amount of CGA when compared to Arabica beans, it means it efficiently helps your body dealing with the oxidative damage provoked by UV by the regular usage of a coffee scrub. Caffeine is well known as a diuretic that efficiently takes away the moisture from the body, so if you apply Robusta coffee onto your skin, the exceeding amount of moisture from it will be eliminated by caffeine, making your skin become more tightened. That’s why numerous women around the planet use Robusta coffee as a way of dealing with annoying wrinkles and cellulite. However, Robusta coffee is not a magical plant – the effects it provokes won’t be visible forever. Coffee scrub effects are a temporary way of dealing with those issues so if you want to have a quick and effective treatment before an important event, be sure to apply a coffee scrub during two weeks before that and continue doing so every other day after it if you want to maintain this result. Robusta coffee grounds are an efficient way of dealing with dead skin cells, especially with acne. It can eliminate certain unpleasant smells from your household. Dry out the grinds, place them in an open dish, and put it in the critical area! The coffee grounds may be helpful in the kitchen, too. Scrub the dishes from the bothersome stains with this natural degreaser! Clean the ashes from the fireplace by sprinkling coffee grounds over it – coffee will make the ashes heavier which means they’ll make less mess while cleaning up! If some persistent insects are attacking your favorite plants in the garden, create a circle of Robusta coffee around the plant and watch how the chlorogenic acid from coffee makes them go away. 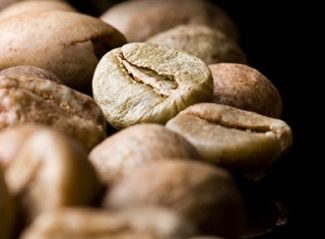 Read what are the differences between Robusta and Arabica in cultivation and find out more about difference between coffee beans. Arabica is considered to originate from the southwest mountainous areas of Ethiopia. It is believed this is the first type of coffee people started to cultivate more than a thousand years ago. The best conditions for the cultivation of Arabica are provided at the altitude of 1.300 to 1.500 meters above the sea level, in the areas where the temperature goes from 15 to 24 degrees, even though it could resist even harsher conditions. The average period required for an Arabica plant to grow ripe is around seven years. During this period, the stalk is cut and shortened several times, and it grows up to five meters. The Arabica stalk is more sensitive to the climate changes and use of pesticides when compared to Robusta stalk. 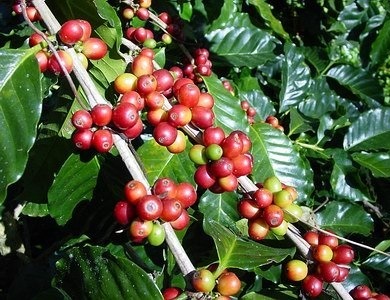 Owed to the favorable climate, on the island of Java Arabica can be harvested throughout the entire year while in Brasil it can be done only once a year, during the winter season. Every berry of Arabica fruit has two hemispheres of a coffee bean even though sometimes there can be more than a single bean. Depending on the quality and natural conditions, a stalk of Arabica may give you from a half a kilogram to five kilograms of coffee beans. Robusta is more resistant to the external conditions and use of pesticides than Arabica, and it represents 25 percent of world’s coffee production. However, Robusta wasn’t recognized as a type of coffee until 1897. Even though Robusta is considered a lower-quality type of coffee in this clash, one of the main advantages of Robusta coffee lies in the fact it is definitely simpler for cultivation than Arabica. As it’s already mentioned, this type of coffee comes from the central Africa and western part of the Saharan area and its stalk may reach the height of 10 meters or even more. Luckily, it doesn’t take more than 10 to 11 months for its beans to grow ripe. Until they grow ripe, coffee beans are nestled in the berries. When it comes to the beans of these two types of coffee, it is easily noticeable that the color of raw unwashed Arabica beans varies from yellow to green while unwashed Robusta has oval-shaped beans in yellow-brownish shades. On the other hand, while washed Arabica goes from blue to green color, the regular color of washed Robusta is green. 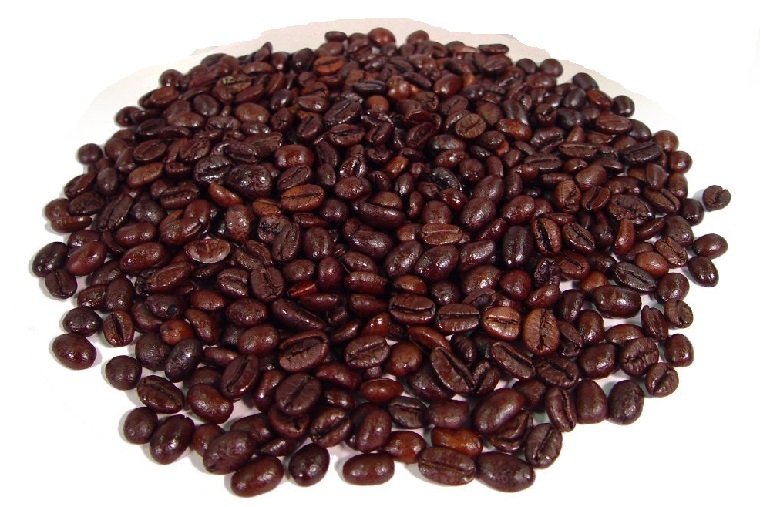 It is also proved that Robusta beans have a much higher content of CGA (chlorogenic acid), which is an antioxidant. Robusta and Arabica don’t only have the differences in their geographical diffusion but in their taste characteristics as well. Arabica contains around 1.5 percent of caffeine and Robusta has almost a doubled amount of this powerful ingredient (2.7). This leads to a conclusion that Robusta has a stronger and more intensive taste which is tart and slightly bitter. On the other hand, Arabica has a richer, more sophisticated taste and its bitterness is at a pretty low level which is the reason why it is considered as the superior and high-quality type of coffee. We’re bringing you one of the tastiest recipes for Robusta coffee preparation and, believe it or not, it comes from Vietnam. Even though Vietnam got Robusta coffee only thanks to French people who brought it there, that didn’t stop the Vietnamese from learning how to prepare the best Robusta coffee. Beside two tablespoons of Robusta coffee (dark-roasted if possible, for a better taste), the original Vietnamese coffee can’t be imagined without sweetened condensed milk (the amount depends on your taste), half a cup of boiling water, and a French drip filter (a phin – positioned on top of a cup – can be found both online and in Vietnamese stores). After you’ve placed the phin on top of your cup and added the coffee to it, pour the boiling water over it. When the water filters it, you can put condensed milk – as much as you want, the amount can vary from a tablespoon to half a cup. 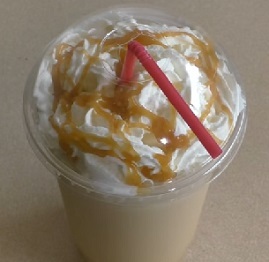 Based on your preferences, you can drink your Vietnamese coffee hot or iced, in which case, you should place the ice in your cup and pour coffee on it. At the end, what’s interesting is the fact coffee producers nowadays often make mixtures of both types of coffee. This is especially common when it comes to preparation of espresso coffee in Italy, where they usually add a bit of Robusta to Arabica in order to provide slightly stronger and more intensive taste. Beside, espresso mixture which contains Robusta provides a better coffee cream and foam, which are the obligatory parts of every cup of a good espresso.